The scrub-covered summit of Point Loma rises 422 feet above the surf. And below, on a ten-acre slope at the fickle shore of America’s extreme southwestern edge, stands the “new” Point Loma Lighthouse. 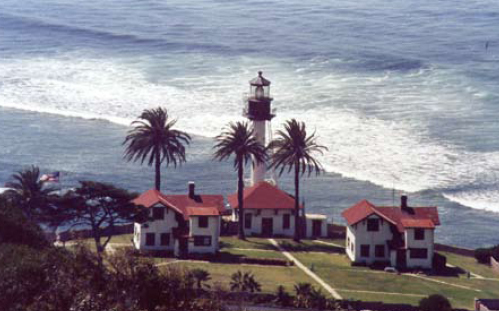 This working Coast Guard Light Station has been a crucial feature of San Diego’s landscape for over a century.